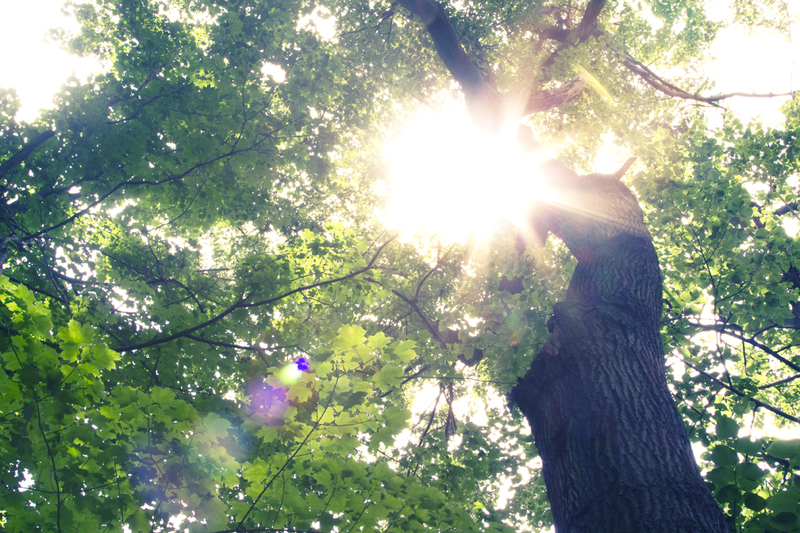 Sometimes, we think that we can't change our future due to our past and present. Sometimes, we think it's already our destiny. But it is not. Just like Misa Kuranaga; Boston Ballet’s first ever Asian principal dancer. Watch the inspirational short movie clip below that gave me goosebump (cause it's so inspiring!). Many women believe that good skin is something you have to be born with, something embedded within your DNA. But is the destiny of your skin really written in your genes? 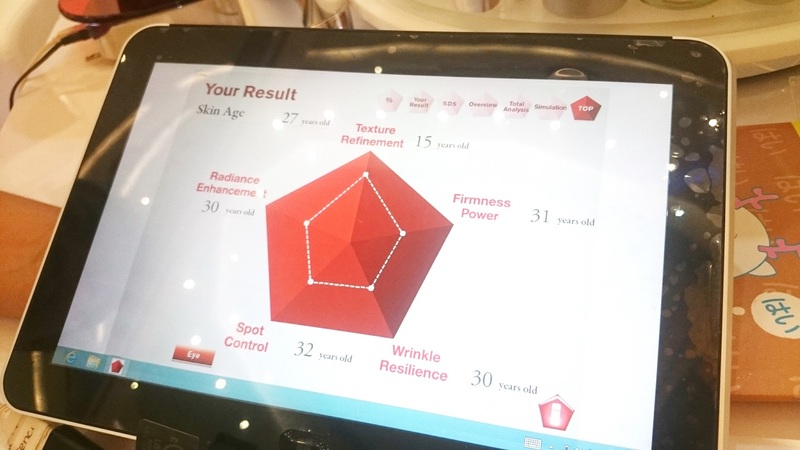 SK-II believes your destiny isn’t locked in your DNA. And that's how #ChangeDestiny starts. 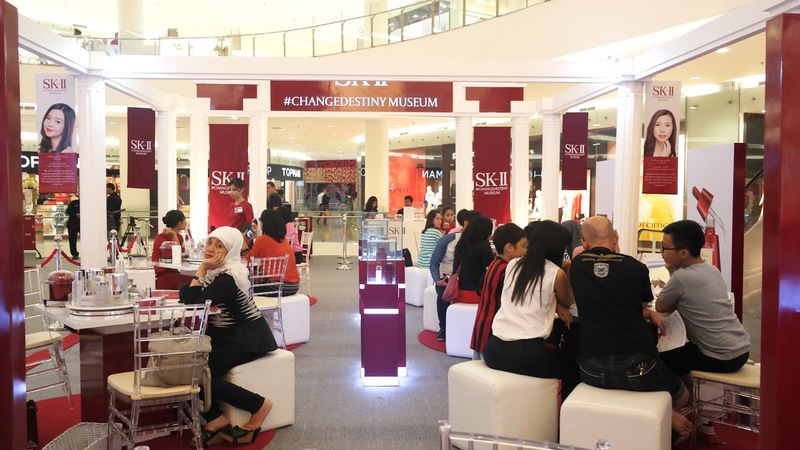 Earlier this March, there was SK-II Change Destiny Museum located in main atrium of Senayan City, Jakarta. This event is the perfect opportunity for you to take the first step towards changing your skin’s future. Including me. 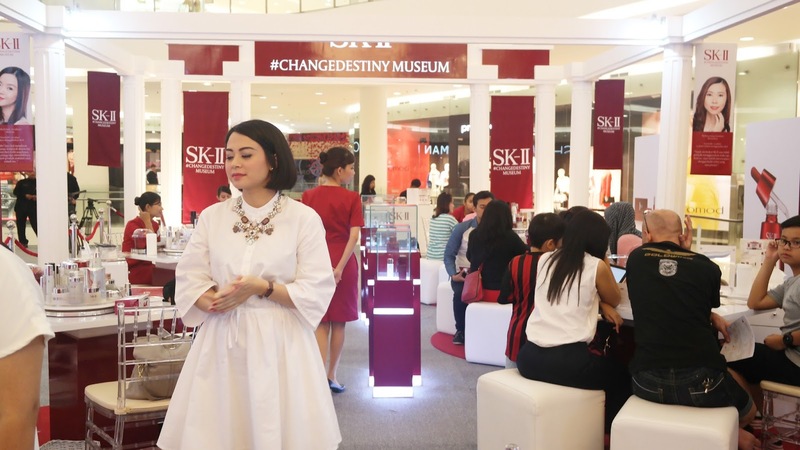 I was invited by SK-II and Cosmopolitan Indonesia to visit the Change Destiny Museum to experience how I can change my skin destiny. 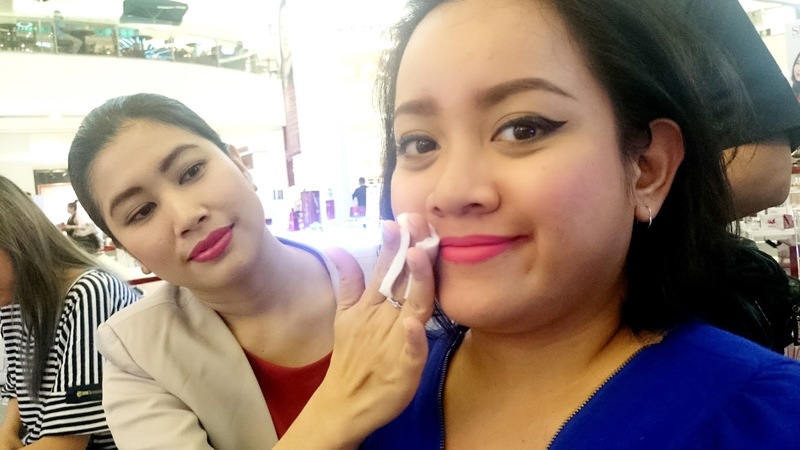 The event was a blogger workshop with Lizzie Parra & Andra Alodita "Start to Change Your Skin Destiny." I fought the usual and evil Jakarta's traffic jam and I'm glad I was, cause the event really change my view of my own skin. How? Let's talk about it! So it was started with the #ChangeDestiny Museum tour. The museum has four different sections where we can explore the journey to change our skin destiny. We were escorted by gentlemen who explained about the section and kindly answering our questions. So this is where the Reversed Mirror and we can ask ourselves "Do you believe that your skin can change your destiny?" spotted: Catra in the mirror! 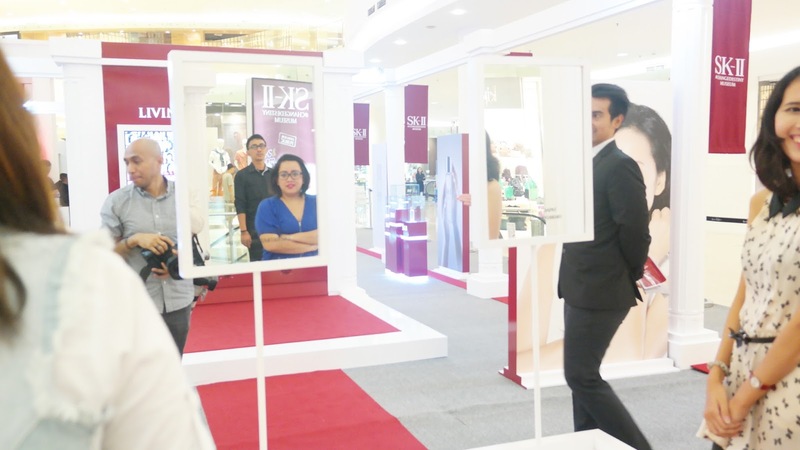 Also, we can take a look at Ambassador Wall and inspired by SK-II Indonesia Ambassador; Dominique Diyose and Susan Bachtiar. 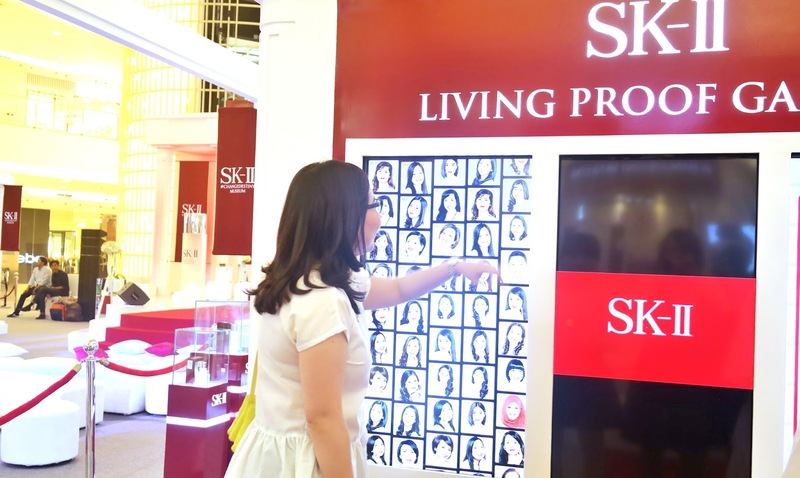 Last but not least, there's Living Proof Gallery; where we can read real life story from various people (from men to women, from young to old, with various profession as well) who have been using SK-II products for years. 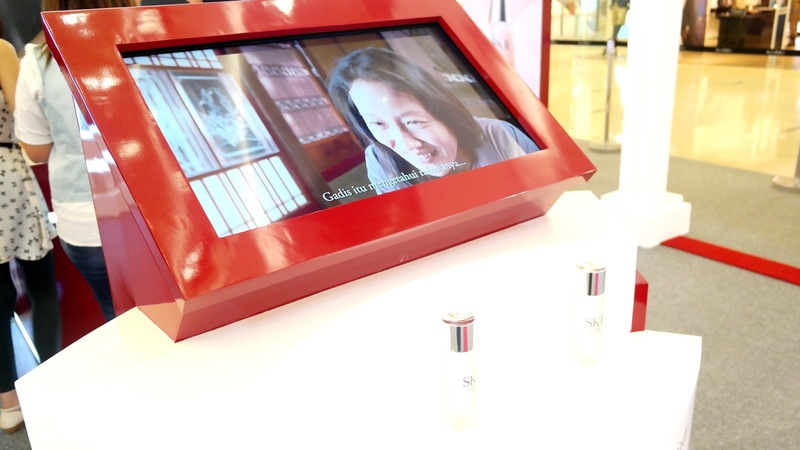 The second section revealed the history of SK-II journey that can be seen on Discoveries Wall. 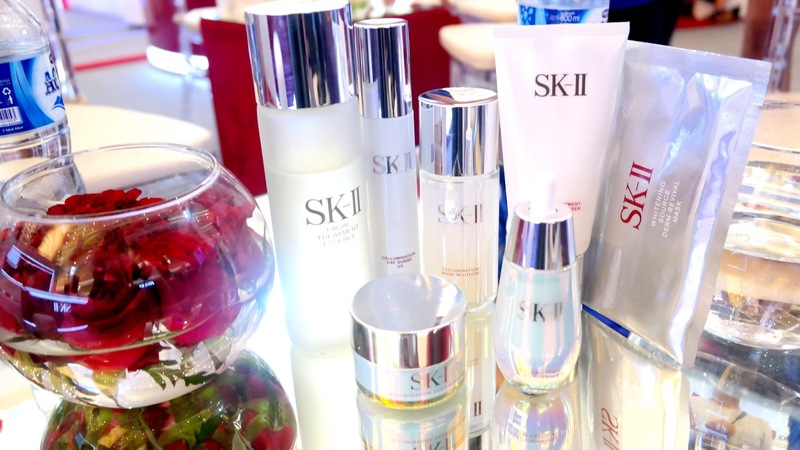 From the start, one by one the technology and innovation presents to complete SK-II. It's nice to learn about it. 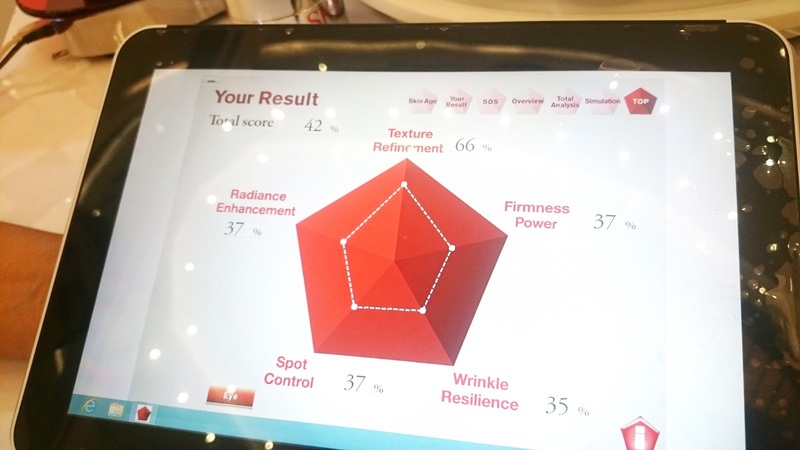 The long journey assure me more that SK-II is indeed a brand you can trust for your skin. Then, right after the wall, I entered Pitera Zone, where there was a pail of rice (YES, Japanese Rice!) along with a video screen where we can watch the short movie clip about Pitera. It was revealed at the #ChangeDestiny Museum that the discovery of Pitera was actually root from sake brewery. It was the hand of the workers at the brewery which is outstandingly SMOOTH. And that's where it starts. Derived from a strictly controlled natural fermentation process, Pitera is a clear liquid rich in vitamins, amino acids, minerals and organic acids. This fascinating combination of nutrients work to dramatically improve the skin’s natural surface rejuvenation process. A unique and signature ingredient, Pitera bears close resemblance to the skin’s Natural Moisturizing Factors (NMF) – a deciding element in the maintenance and enhancement of the skin’s translucency, softness and smoothness. The third section is the Demo and Workshop Area; where the blogger workshop held on. Talkshow started with the MC; Cisca Becker playing the inspiring movie clip of Misa Kuranaga. 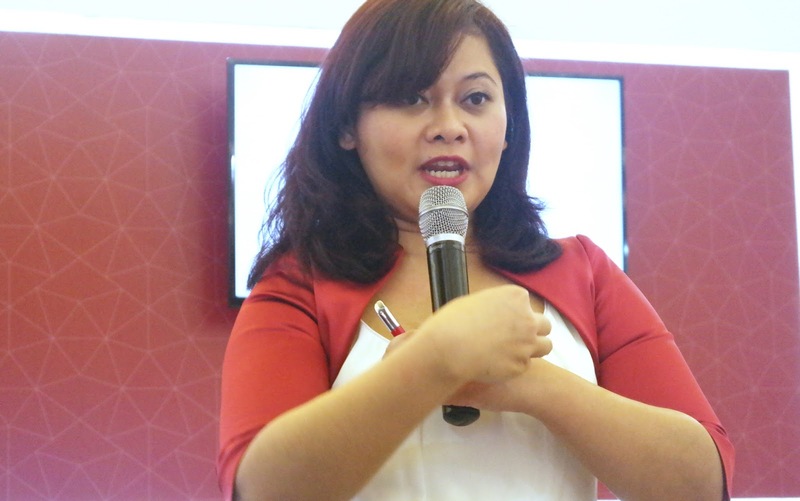 Then followed by Junita Kartikasari, Senior Brand Communications Manager SK-II Asean. 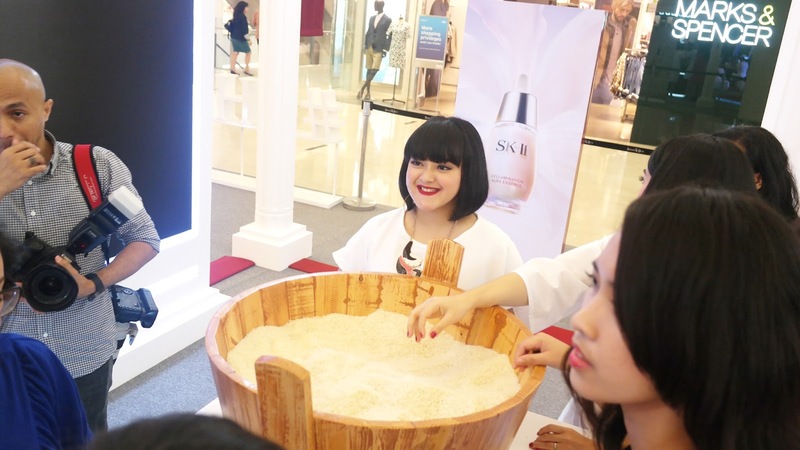 Since both Andra Alodita and Lizzie Parra are loyal user of SK-II, they were sharing about their journey to achieve healthier and beautiful skin with SK-II. I am especially amazed by Andra Alodita's experience since she has such a beautiful, clear, and healthy skin now. She shared that back then she used to have dull and acne-prone skin. And of course I got the chance to try the steps at that time. Watch my instavideo below to see how was it. After the workshop, we continue to the last section of the #ChangeDestiny Museum; Consultation Area where we can have Magic Ring Test. 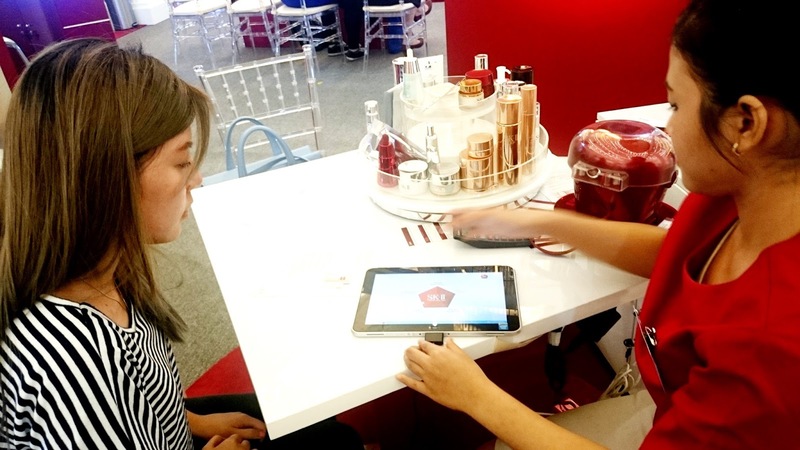 The place was spacious and we can actually have one-on-one skin consultation with SK-II Beauty Advisors there. WHY YOU SHOULD TAKE THE MAGIC RING TEST? Ouch! My skin is 3 years older than my actual age!! SCARY BUT NOW I KNOW THAT I HAVE TO TAKE CARE OF MY SKIN BETTER!!! 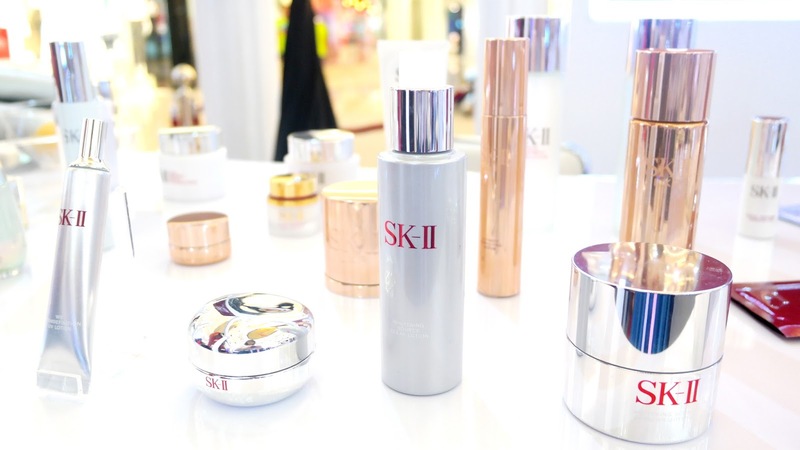 And my journey in SK-II #ChangeDestiny ends. It was such a great experience to see, learn what is behind, discover, and experience beauty. Me myself, back then I know zero about skin care and beauty. But as the time goes by, I never stop learning about how to take care of my skin better. And now, I learn that my journey to better skin is not over yet. There are a lot of things that need to be improved. And SK-II helps me to realize that fact. 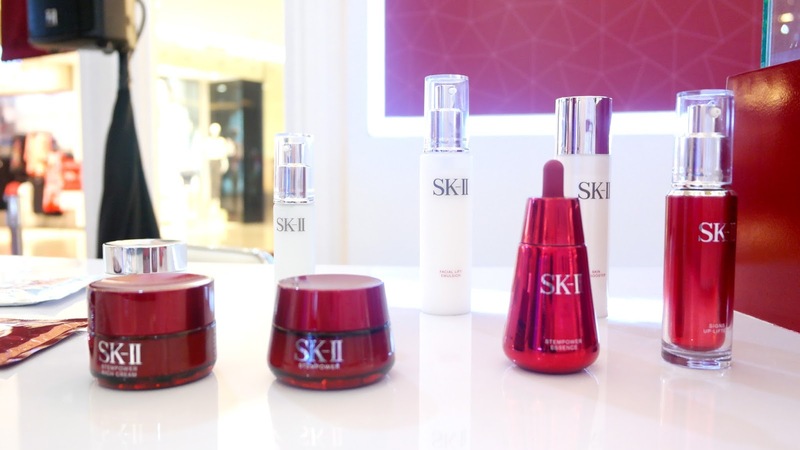 By learning about the philosophy of SK-II and also experiencing the product while knowing my current condition, I am now filled with full spirit to change my skin destiny. I pledge to myself that I will defy all the obstacles (stress, laziness, etc.) in order to achieve better, healthier, and more beautiful skin. Your DNA is not the boss of your skin. You are.